It is FINALLY that time of year when we can start to plant our gardens! Let’s all rejoice in the departure of the bitter cold and welcome the warmth of the spring sunshine! Save the Dunes and partners are always working toward conserving, protecting and restoring our natural areas - we invite you to join our efforts in your very own backyard (or frontyard or both!). You can “go native” by choosing to plant ecologically rich flowers and shrubs that support our local wildlife. Imagine being rewarded for all of your hard work in the garden with frequent visits from the beautiful butterflies that call our area home. If butterflies aren’t your thing, maybe birds are! In that case, the birds will have habitat complete with healthy food to eat and places to build their cozy nests. Or maybe the "bees-knees" for you are the pollinating bumble bees that are a delight to see hovering through a wildflower patch. Planting with natives is a win-win for all. It's never been easier being green! You can even go a step further and keep known invasive plants out of your landscapes. This reduces their terrible impact on our natural areas when they do what they do best – escape and invade! Invasive plants wreak havoc on our natural areas by out-competing native plants and degrading habitats native plants create for our wildlife. Invasive species are also very expensive to control and remove! Check out our “Living in the Dunes” guide to learn about some of the most problematic invasive plants on our landscape. If you’re unable to make it to these sales, you can also order native plants from our friends at Openlands. For a complete list of Indiana’s native plant sales check out the Indiana Master Naturalist's Spring_IMN_Newsletter_2019. And for our neighbors to the west, a complete list of native plant sales in Illinois is available from Chicago Living Corridors. 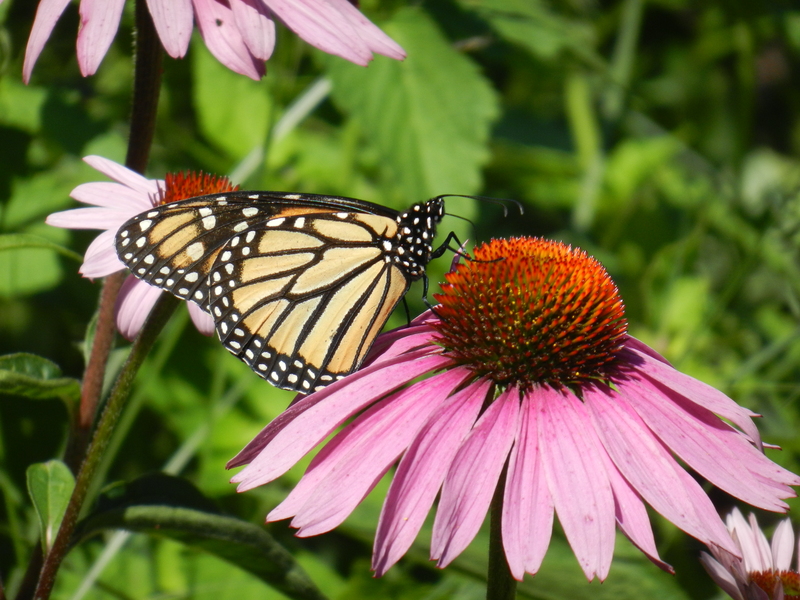 More downloadable guides featuring options for planting with natives to support pollinators are also available from the Indiana Native Plant Society, the Pollinator Partnership and the Xerces Society. Have fun bringing the beauty of nature home in your gardens! We look forward to seeing what you've got growing!